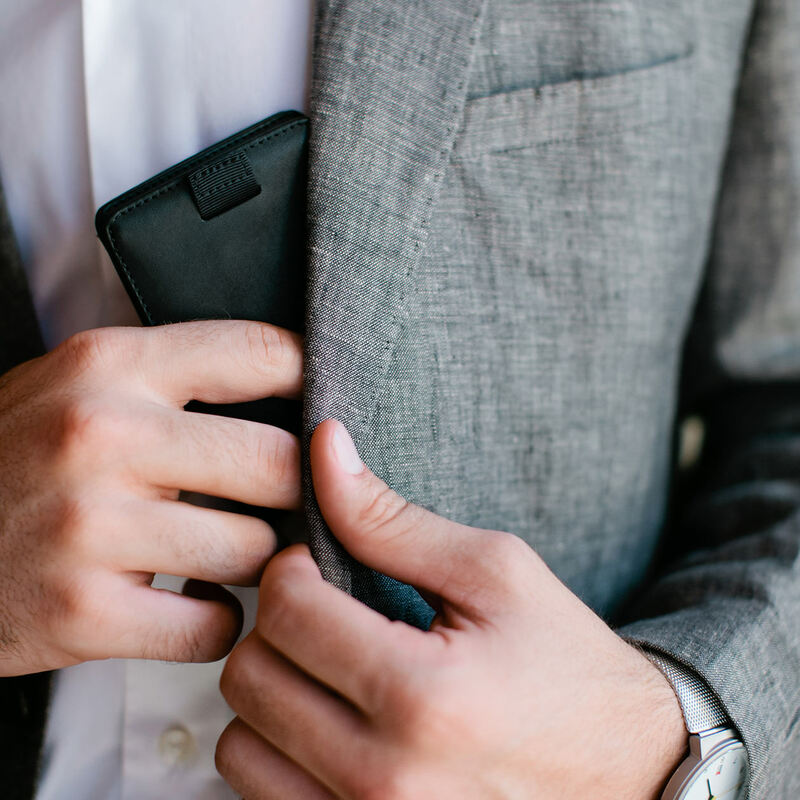 With Wally Bifold we’ve distilled the leather bifold wallet to its essentials– eliminating excess materials and creating a profile so slim it fits comfortably in your front pocket. Carry the same amount of cards and cash as a traditional billfold in a wallet half the size, and without compromise. Optional RFID-Shielding for protection and peace of mind. 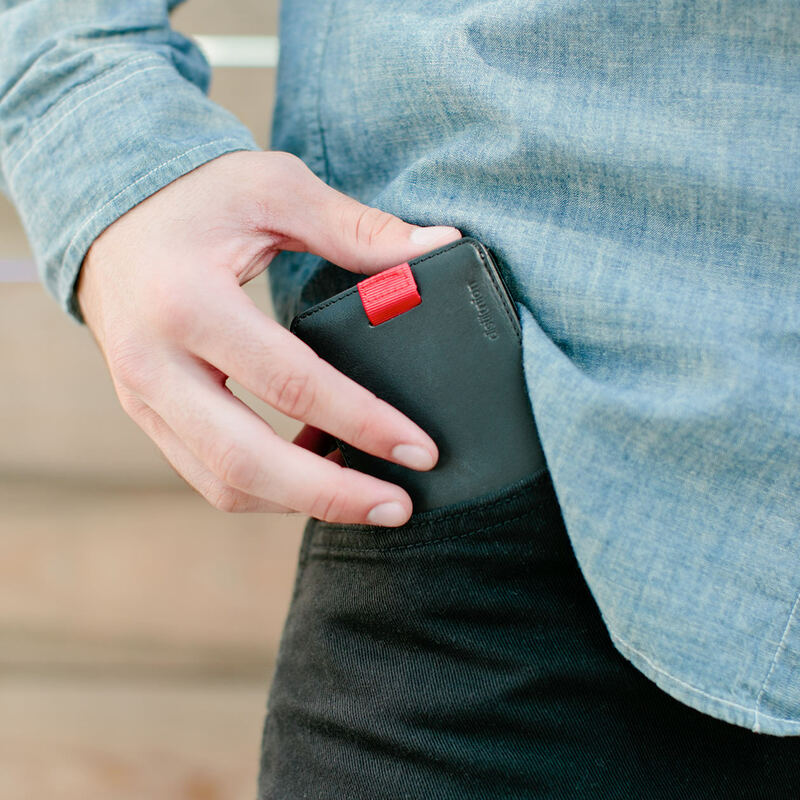 The RFID Edition features two interior slots for quick access to your ID card, business cards, and convenient use of any "tap and go" cards without removing them from your wallet. It’s so thin, even with a dozen cards and several bills stuffed inside, that you might forget you’re carrying it. Like a pop-up book for us grown-ups, Wally Pull-Tab™ lifts your cards for easy access. We use grosgrain ribbon for its durability and surprisingly satisfying zzzzzip when you pull it. Carry a slimmer wallet for relief from back pain caused by fat Costanza wallets (it’s true). Wally’s even slim enough for your front pocket – better for your back and your back pocket, for a smoother silhouette and less wear-and-tear on your clothing. 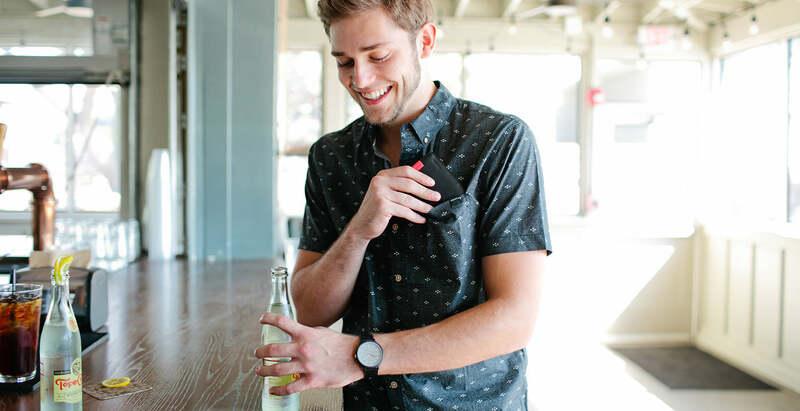 We’ve redesigned traditional bulky wallets to carry the same contents in a wallet just half the size – see how. 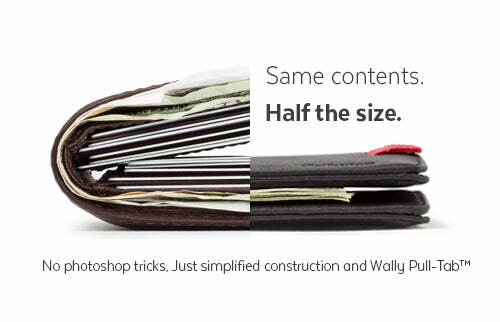 In traditional wallet construction, every slot adds another layer of thickness. Using our trademarked Wally Pull-Tab™ mechanism, we're able to achieve a slim design without the typical leather dividers that add bulk. And whether it's physical or psychological, having a slimmer wallet is a great way to reinforce the behavior of carrying less. We made it slim, and you make it minimal. 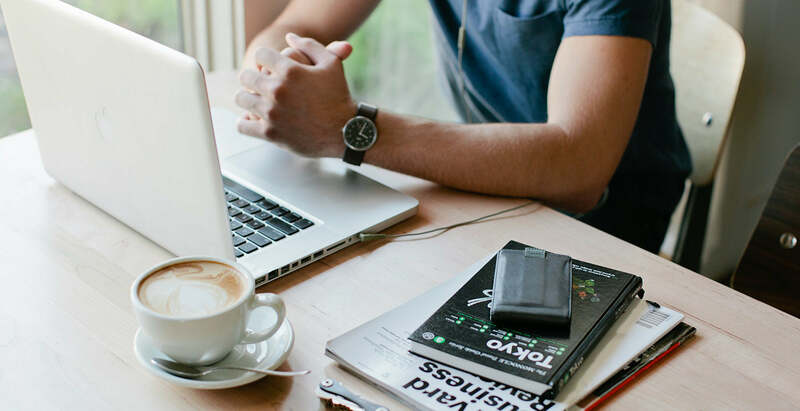 Accessing your bills is effortless, as there's no need to lift the metal money clip. 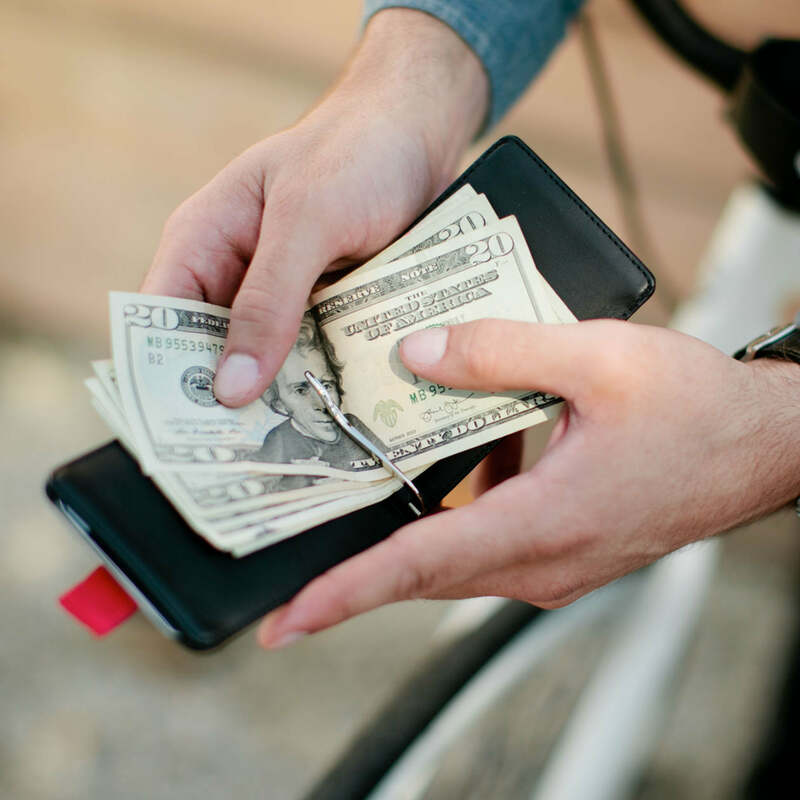 And the money clip automatically adjusts to keep your stack of cash secure inside the billfold. 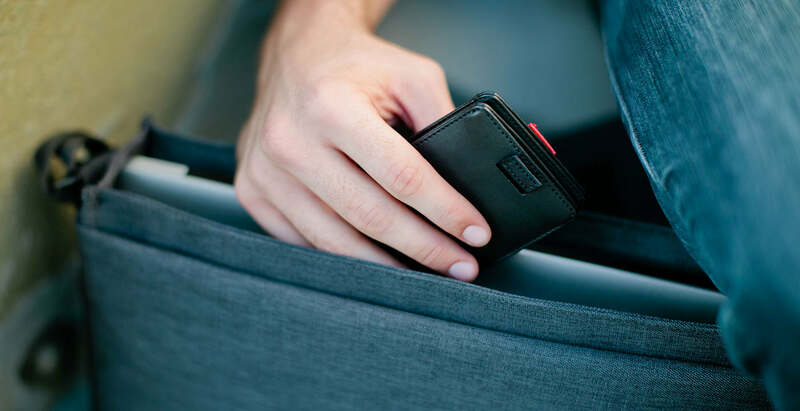 Only the RFID-shielding Wally Bifold has two interior slots, perfect for quick ID access plus a tap-to-pay or keyless-entry card. Natural leather softens and conforms to your contents, over time developing a feel and patina unique to only you. Hand-rolled edges lend a refined look and long-lasting durability. No need to flash your cash. Our dual card-sleeve design keeps your cash folded inside, so there’s no need to open your wallet when reaching for your cards. Bifold’s two sides have different colored ribbons so you know at a glance which pocket to pull from. 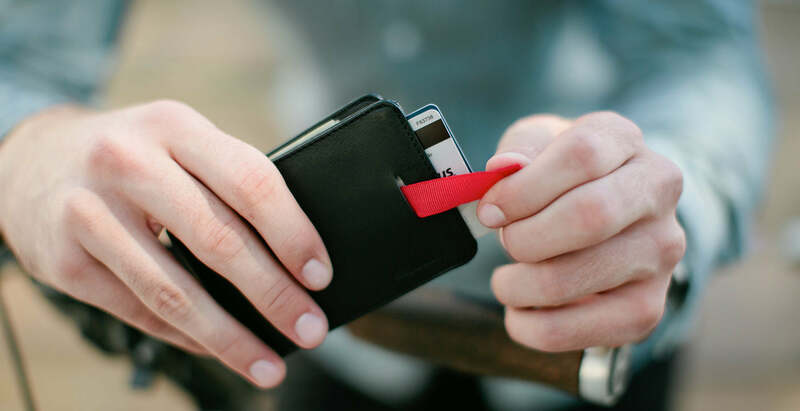 Wally Pull-Tab™ is grosgrain ribbon, selected for its durability and uniquely satisfying tactile feedback.